Opel showed a glimpse of its future design language expected to adorn the brand’s models in the next few years. The “Vizor” concept exudes boldness and purity – distinctive traits in Opel’s unique design legacy. The main feature of the new design is two prominent axes that insect the brand emblem. Vertically, it is marked by the characteristic centre crease on the bonnet and horizontally the face shows a novel wing-shaped daytime running light signature. The legendary “Blitz” forms the focus point of the model face. Opel CEO Michael Lohsheller gave a preview of the design by unveiling the new Opel GT X Experimental. He said that the brand is proud of its values which are its German roots, approachable persona and exciting character. The headlights, daytime running lights, the cameras and sensors of the assistance systems, along with the Blitz are framed by a unique design element. This element is reminiscent of the eye slot of a motorbike helmet, which is where the design “Vizor” comes from. “It is becoming ever clearer, Opel is unleashing new potentials. Traditional characteristics such as German engineering, precision and quality will be joined by exciting and innovative ideas for thrilling automotive experiences,” explained Opel CEO Michael Lohscheller. The Opel Design team looked at building from its great heritage and landmark concepts, toward a distinctive new design execution for its future exterior and interior designs. “We want to create exciting designs that stand out but which also have a purity of execution. This brand concept captures those values perfectly and highlights the framework for our future vehicles,” explained Vice President Design Mark Adams. 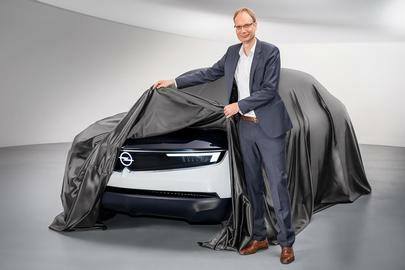 The new Opel GT X Experimental will be revealed later this year and its name emphasises a long tradition of trendsetting concept cars at Opel. The Rüsselsheim-based carmaker was the first European manufacturer to show a design study with the sporty Experimental GT in 1965. The Monza Concept (2013) and the GT Concept (2016) were already milestones en route to the GT X Experimental: They both refined the Opel values and highlighted topics such as efficiency and a pure design aesthetic. For further information about the Opel line-up, kindly visit the Opel showroom in Mdina Road, Qormi – call on 22692122– send email to opelsales@motorsinc.com.mt – log on the Opel Malta Facebook Page.